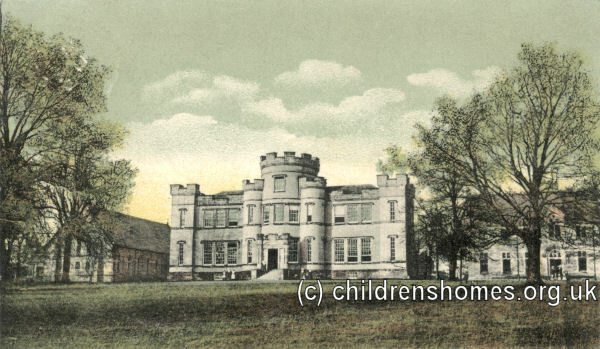 The Smyllum Orphanage was established in 1864 and by 1890 occupied a property known as Smyllum Park near Lanark. The home, run by the Daughters of Charity of St Vincent de Paul, catered for Roman Catholic children aged from 1 to 14 years at their time of admission. In 1888, 440 children were in residence. The Orphanage was supported by parochial boards, of which 42 had placed their Catholic children in 1890. The home also received income from its farm and garden, a government grant, and charitable contributions. The home closed in 1981 and the property has since been converted to flats. In 2000, it was reported that the Daughters of Charity were being sued by former residents, who claimed that they had suffered beatings and force-feeding while inmates of the institution. In September 2017, an investigation by BBC Radio 4's 'File on 4' programme and the Sunday Post newspaper examined death certificates in archives and found 402 children from Smyllum Park. Only two were found to have been buried elsewhere. The remainder are thought to have been laid to rest in an unmarked mass grave at St Mary's cemetery, a mile away from the former home. Daughters Of Charity Of St Vincent De Paul, Provincial House, The Ridgeway, Mill Hill, London NW7 1RE. (Archivist: Sister Bernadette Ryder DC) Has Registers (1906-1976)and Log books. Roman Catholic Archdiocese of Glasgow Archives, 196 Clyde Street Glasgow Scotland G1 4JY (email: archives@rcag.org.uk) Holdings unknown.